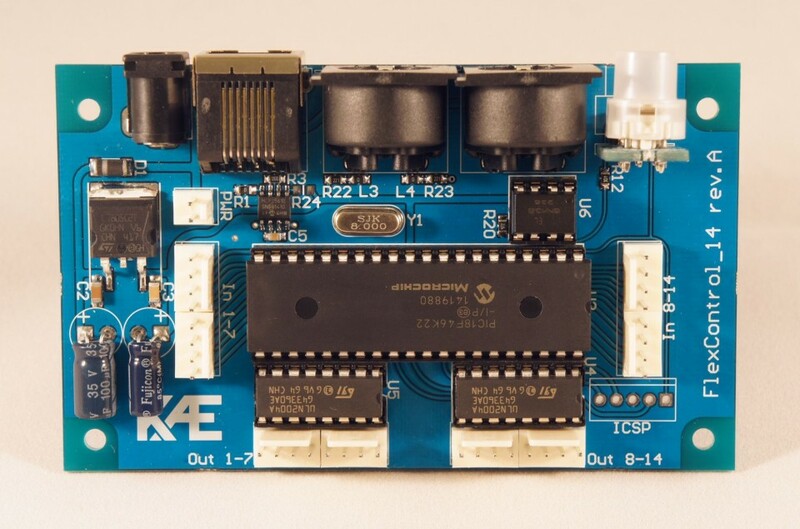 ‘FlexControl 14‘ is an universal MIDI controller / decoder. 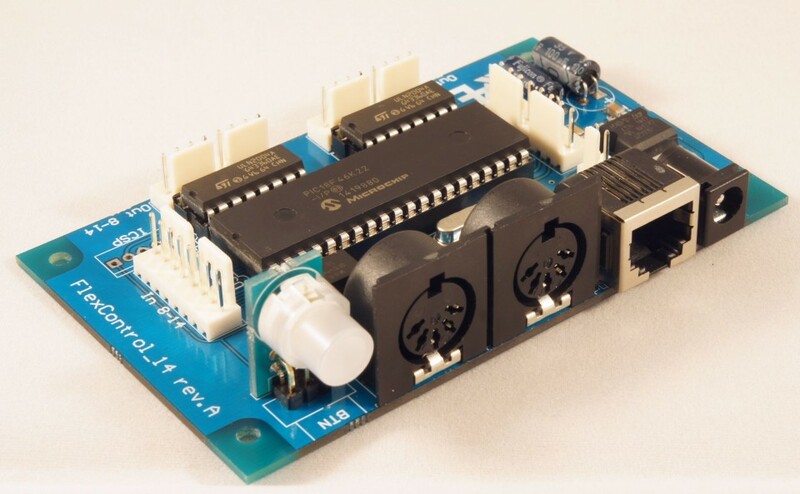 Build your own intelligent amplifier or looper and don’t worry about programming. Perfect for hobbysts, DIY enthusiasts and OEMs. ‘FlexControl 14‘ features 14 digital /11 analog inputs, which can trigger emission of MIDI messages and 14 digital/PWM outputs, controllable simultaneously by: 14 on-board inputs, MIDI messages or another ‘FlexControl 14’ / ‘FlexRemote 9‘ device. 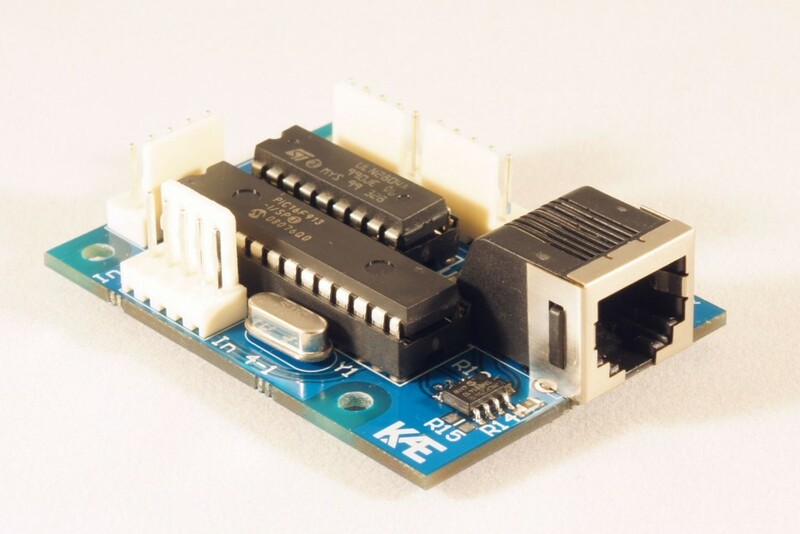 *Note: Displayed images illustrate fully equipped board, however the board normally ships without mounted DC power jack. This part will be included in the package, but not mounted.